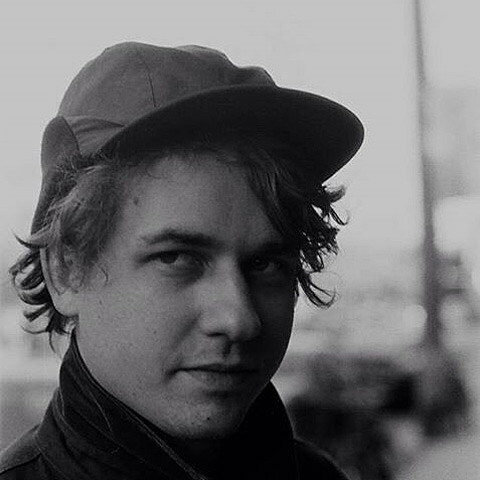 Kevin Morby put out his second solo album, Still Life, this year which is another fine showcase for his songwriting talent and his appealingly weathered voice. It’s maybe a little closer in vibe with what he did in The Babies than his excellent, mellow solo debut. You can stream it via Spotify below. Though he lives in Los Angeles these days, Kevin makes it back to NYC fairly often, and has played here a few times this year, most recently during CMJ. You can catch him again when he opens for Amen Dunes at Bowery Ballroom on January 22. Tickets are still available. Before that, Kevin will open for Strand of Oaks in Chicago on January 17. Those are his only listed dates at the moment. Amen Dunes’ new album, Love, makes Kevin’s Top 10 LPs of 2014 which we’ve got in this post. He’s also got his old bandmates Woods, Frankie Cosmos, and more. You can check that out, including Kevin’s commentary and a choice lyrical quote from each, below. In my mind – this record acts as one song rather than twelve. Each song perfectly plays off the one before it. The most beautiful and emotionally raw record I’ve heard in years. Dark yet uplifting. Nothing excited me more than this record did this year. After listening to it for the first time, I couldn’t wait til I could listen to it again, over and over. Beautiful, beautiful, beautiful. All star musicianship, songwriting, production, and the best Steve’s singing has sounded yet. Steve is a living legend, an MVP. One of the best guitar players and songwriters of our time. Pure magic in the voice, pure poetry in the lyrics. This is soul music. A crushing break up record, one that begins damaged, but by the last song is moving past and moving on. A true journey of an album. Obsessed with this record ever since first listening to it the night after I saw her live for the first time. Perfect city music. Under twenty minutes, and every song a hit. Carrying the torch of the Sidewalk Cafe and NYC anti folk scene of the early 2000s. Rooted in country, soul, and traditional folk, this album is a contemporary classic. Alynda Lee is a rising a star, Hurray For the Riff Raff will one day be a house hold name. Dark in its production and lyrical content – this is a much different F & O’s album than the ones that came before it. The album art (which is incredible) is of a rooster going to fight its own two reflections in a double mirror, and the music follows that sentiment. This is an underrated record that everyone should hear. “Bells of Paonia” is one of the best songs I’ve ever heard. A recording that finally does justice to the magic of watching her live. Now that I’m no longer in the band, I can safely put them on a years end list. Great step forward for Woods in its production. Solid songwriting and musicianship as always. Cant wait to see what kinda trouble they get into next. If this was a list for what songs I wish I’d written in 2014, album closer and lead single “Everytime the Sun Comes Up” would be number one. This is the first Drugs record I’ve ever really dug into. I’ve always enjoyed it peripherally but this year you couldn’t escape the success of this record, and it’s easy to see why. It’s a highly accessible, wonderfully written record.